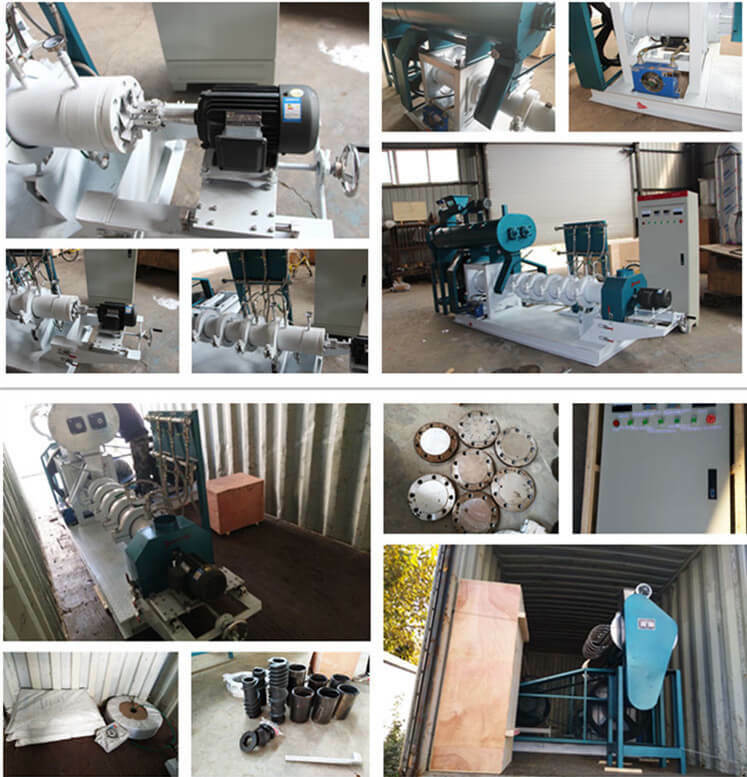 This pet food extruder is also called wet type feed pellets extruder, equipped with a heating boiler which can provide gas continuously to fully cook the raw materials. The cooked material is easy to form quality feed pellets as well as more nutritional and easy to digest. 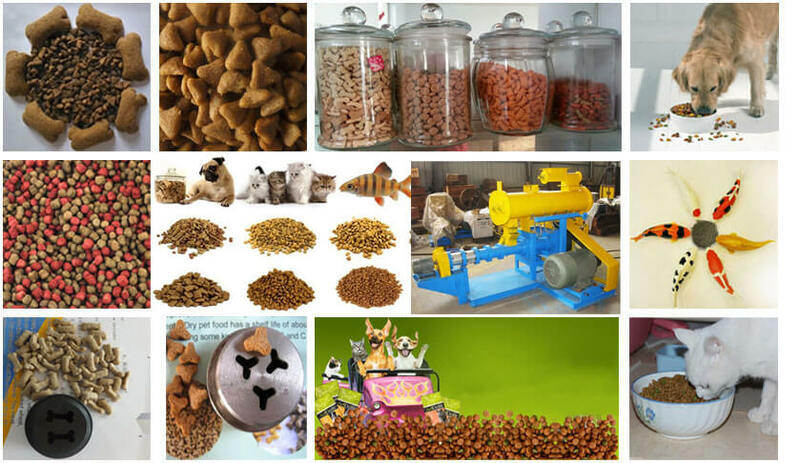 Widely used to make fish feed pellets, cat, and dog food and other feed pellets for various pets. 1. 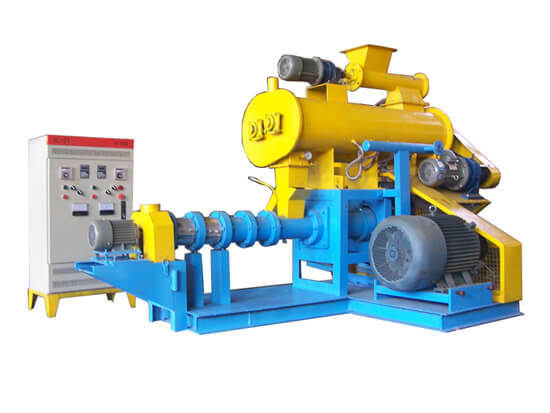 The main extruder adopts frequency speed controlling with high automation and stable performance. 2. The screws are made of the alloy steel and special craft, durable usage. Adopt the building block structure, compact and easy operation. 3. The forced lubrication system guarantees a longer service time of the feed pellet machine transmission system. 4. Auto-temperature control system makes the temperature controlling more directly viewed and the parameter more precise. 5. The pet food machine can be equipped with a heating boiler when required which can connect to the heating gas, making the grains fully cooked. 6. This pet food extruder has wide application for making feed pellets with various shapes for fish, dog, cat, etc. Pet food machine mainly make the corn, soybean and other grains into feed pellets for the cat, dog, rabbit, fish, shrimp feed, etc. Indispensable in the pet food processing industry.